Making your road an EASI-street: join the volunteers who are clearing litter from Earley! 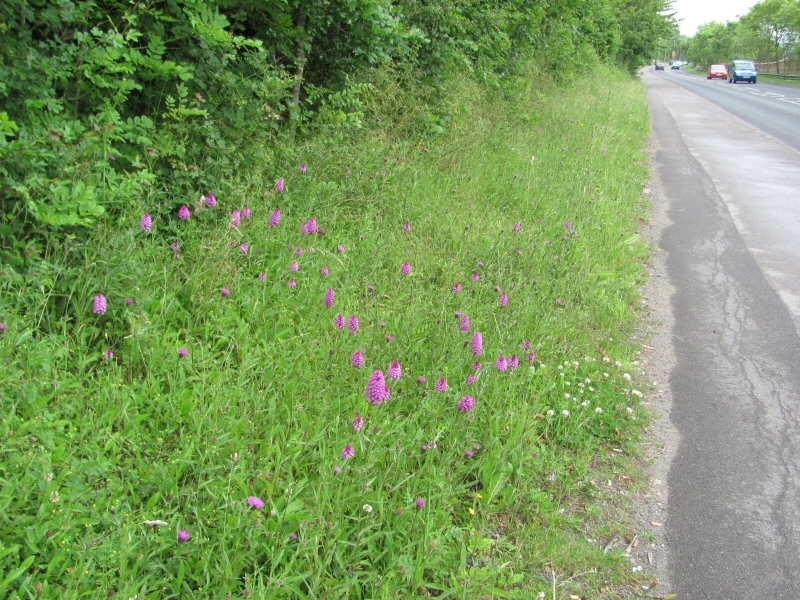 This is the second year that the Council mowing team have been leaving a verge in Lower Earley Way near Pearman�s Copse uncut so that Pyramidal Orchids, first noticed here about 5 years ago, could flower. This year there are about 218 flowering plants, which is roughly the same as last year. This was achieved after a lengthy but ultimately successful couple of years of work by EEG. 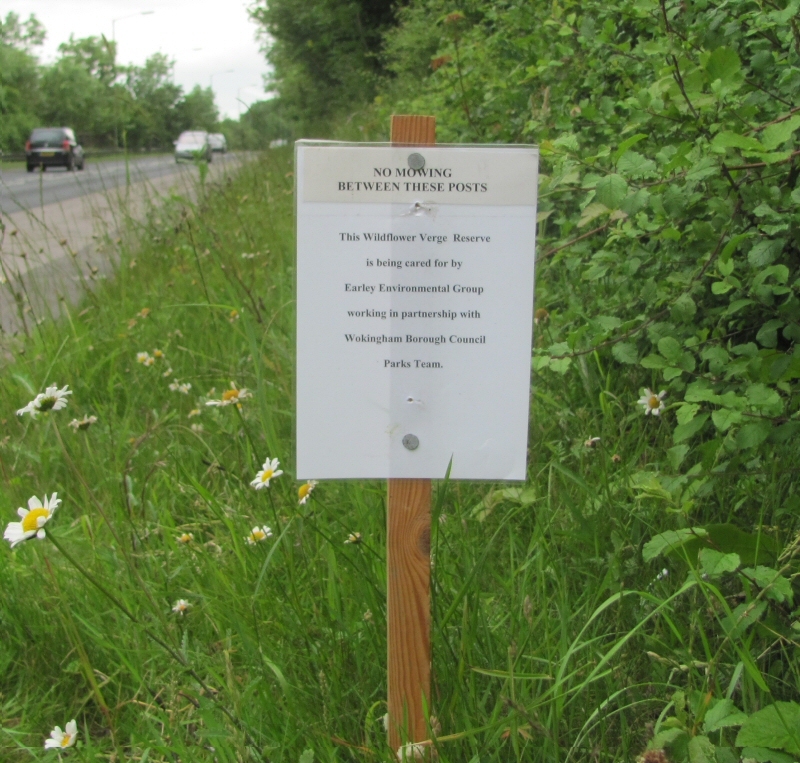 Notices were put up on the recommendation of the Council to further alert the mowing teams. Unfortunately these have had to be replaced several times as they have been vandalised and/or removed. 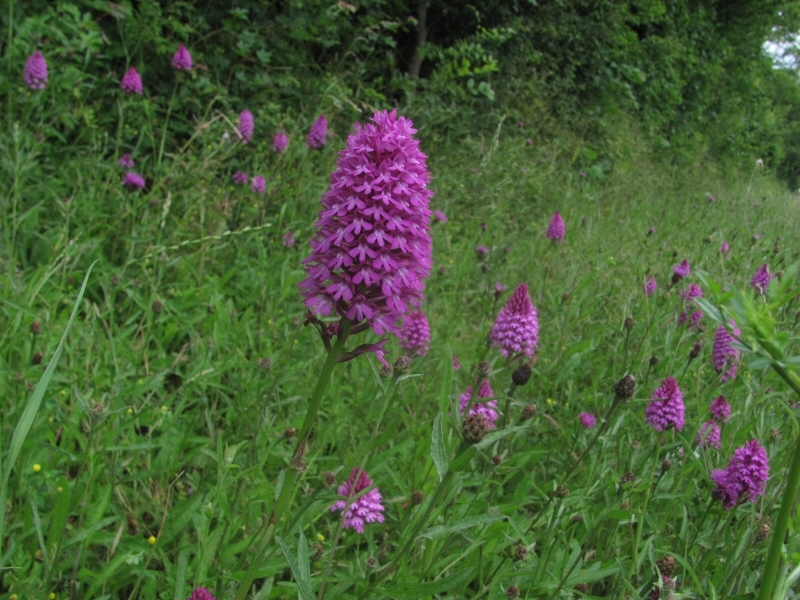 The Council has now agreed to refrain from mowing areas of three verges in Earley to allow wild flowers to flourish, including these spectacular orchids on Lower Earley Way.